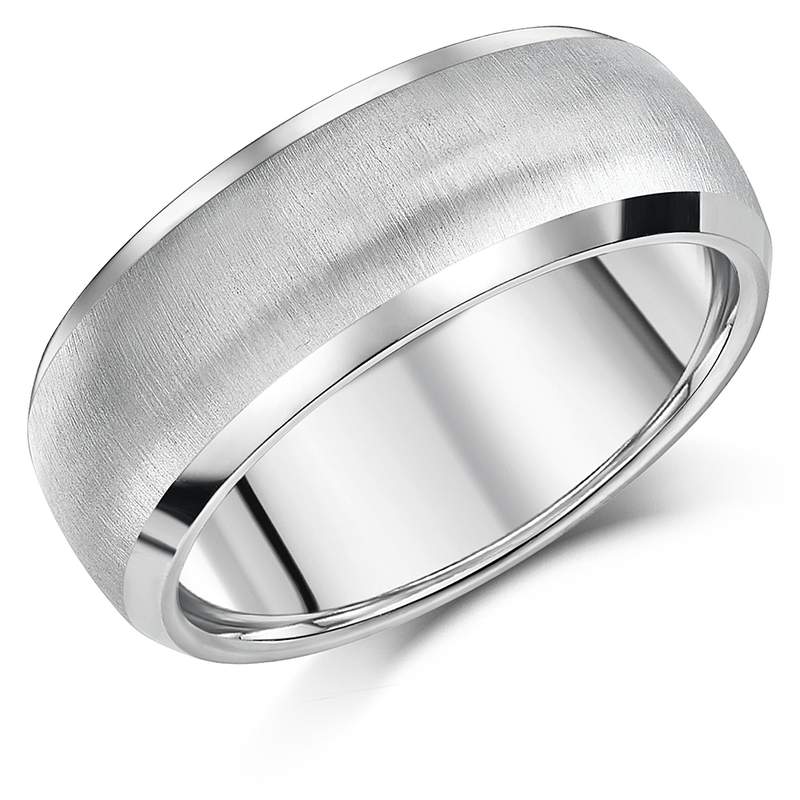 This lovely wedding ring has been fashioned from the finest of titanium - a metal renowned for its superlative durability factor as well as for its biocompatibility- rendering it appropriate for wear on all skin types; particularly on those prone to sensitivities. 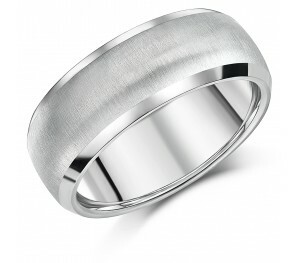 Aswell, the band has the added luxury of a matte & polished finish which as a result of its nature; lends a wonderfully textured element to the band. 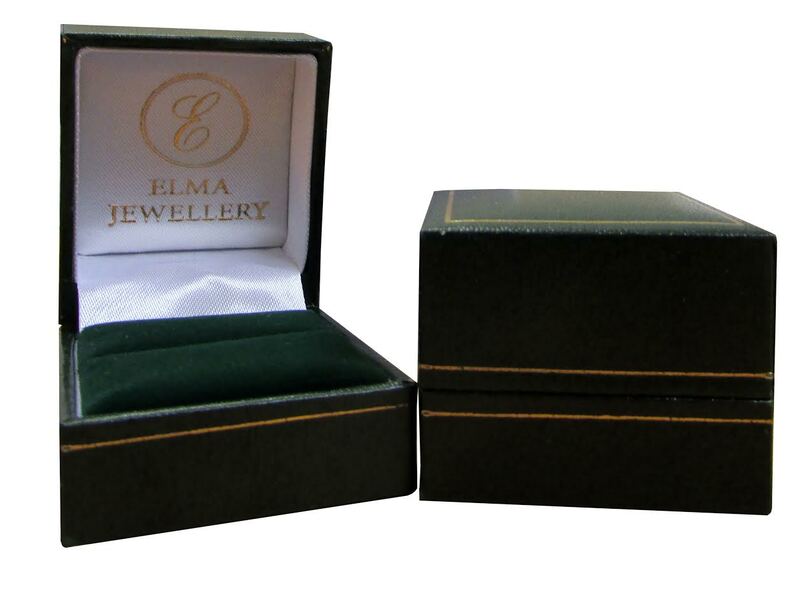 Sizes available for this particular piece range from L-Z+6 and its width measures a total of 8mm. With regards to ring profile, the band is 'court-shaped' meaning that as a result of its curved surfaces, the comfort fit it provides; well surpasses that of its counterparts. So, for those in search of an affordable, hard-wearing piece without compromising on quality craftsmanship - this is a good one to consider!